Immuno-Oncology represents a portfolio of approaches aimed at deploying the immune system against tumor targets in vivo. There is a growing body of scientific and clinical evidence that these approaches are yielding clinically-actionable strategies for cancer treatment. 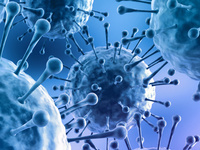 The SelectBIO Immuno-Oncology Europe 2019 Conference brings together the key opinion leaders in the immunotherapy and tumor immunology fields to address the most up-to-date strategies for immune therapy and means by which immunotherapies may be rationally-combined with more traditional anti-cancer therapeutics. This field is converging with biofluid biopsies/liquid biopsies and therefore this conference brings together these two disciplines as they are co-evolving. 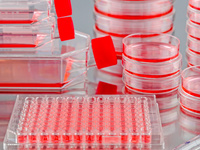 This conference also addresses biomarkers and companion diagnostics (CDx) which can be utilized to "target patient populations" suitable for immunotherapies. Presentations from researchers and clinician-scientists at this conference discuss the most recent themes and clinical data. Anish Suri, Senior vice President and Chief Scientific Officer, Cue Biopharma, Inc.